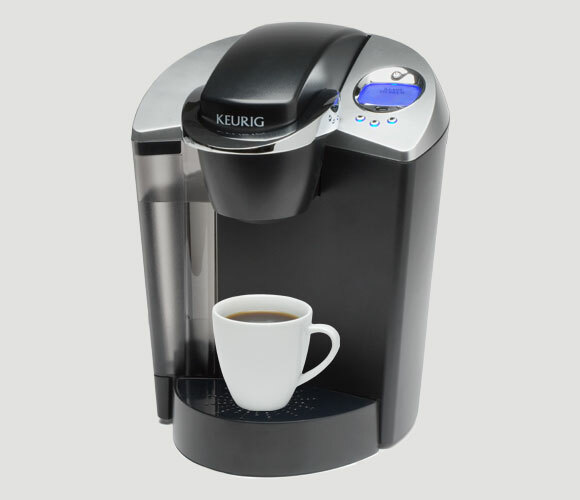 READING, MA – Building on the success of their single cup coffee brewers, Keurig announced a new line of disposable coffee machines. “We recognize that many coffee drinkers have a very busy schedule, sometimes making it difficult to operate and maintain a traditional, multi-use coffee machine,” publicized Keurig President Michelle Stacy during a Q3 earnings call, “so we developed a new single-use coffee machine that gets rid of all that timely work.” Each one-use brewer comes preloaded with a single pod of ground coffee and a ready-to-go paper cup—the user simply has to take the machine out of the box, turn it on, and wait 30 seconds for the coffee to brew. Ms. Stacy then demonstrated the process, which ended with her taking the entire contraption and throwing it in the trash. “No clean up!” The non-reusable appliances will come in regular, decaf, and cappuccino and be priced at $100 each, with a box of 12 priced at $999.